Waiting for downloads to finish is no fun. After all, if you’ve decided you want to save or install something you find online, you probably want to use or play it straight away. Thankfully, there are lots of ways to speed up downloads, but also several pitfalls you should avoid in your quest to achieve it. Here, we look at how to download large files faster no matter how slow your bandwidth is. There’s no easy cure for a limited web connection, and we know many readers are stuck on speeds of less than 2Mbps. Your first priority is to ensure nothing else is interfering with your bandwidth. This means switching off your email, closing instant messaging programs and making sure no other webpages are active. If you’ve got a fairly fast broadband connection, you don’t need to be quite so strict about switching off services. Other web-based activities will make a difference to how long the download takes, but simple web surfing will have a negligible effect. However, we don’t recommend trying to watch a YouTube clip while you wait for iPlayer to download a programme you want to watch as this will devote lots of your bandwidth buffering the video. If you find your downloads take much longer than expected, other devices and software are probably using the web connection too. If you’ve got an iOS or Android device, you can use the free Fing app to identify anything that’s on your network. To use it, just start Fing and it will automatically search for all connected devices. Click an entry in the ‘Device list’ to see what’s it’s connected to. If you’ve used Fing before, click Refresh to make it re-scan for connected devices. If you discover computers logged on that shouldn’t be, change the password for your Wi-Fi network and only give the new one to family members. Stopping other programs periodically accessing the internet to check for updates or retrieve information will also help speed up your downloads because you won’t be competing with other items on your computer for the web connection. To check which programs and services are set up to connect to the internet, press Ctrl+Alt+Delete, click Task Manager, Services and look through the entries that have network access. Items such as Adobe Acrobat Updates can be stopped. If all the devices connected to your network are ones that should be allowed web access, either change the traffic priority for your broadband connection on your router so your downloads take precedence or you can schedule your downloads for later and prevent other people using the web at that time. If you don’t want the kids watching YouTube videos at all or only at certain times of the day, give their laptops a password-protected, Standard or Limited user account and use the settings menu to restrict what they can do and when. This way, if you’re trying to download an HD film, you can make sure their computers are set to allow web access only until, say, 10pm and start your download after that. To change your broadband connections bandwidth priority, go to the settings menu for your router and locate QoS. Move Skype calls, instant messaging, online gaming and other bandwidth heavy tasks down the list and promote downloads. On a broadband connection of at least 5Mbps, even large items should download in less than five minutes. To find out how long a download should take if your web connection is working at its optimum, consult the table at thinkbroadband showing download times for differing file sizes. 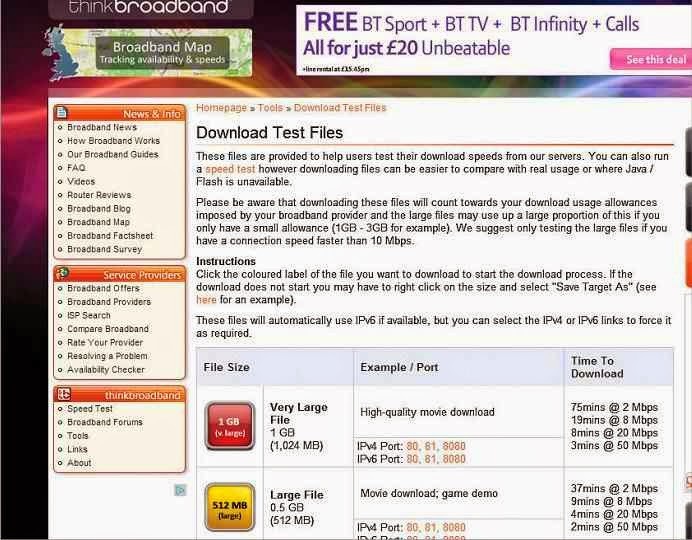 As well as estimating download times, hinkbroadband provides files you can download to test whether your web connection is particularly slow. If you compress the items you want to download into a smaller file size they will take less time to download. Although you can do this yourself, it’s best to install a download tool that will compress and convert YouTube and other bulky downloads for you. There are lots of YouTube-conversion and download tools available, but if you specifically want HD video and 3D content, try Tubebox. Downloading early in the morning should be faster than late afternoon and evening because most web traffic is in the US and there’s a big surge in use. Downloading when you’re not using your PC is faster too, so schedule \downloads rather than wait for them to take place. This will also avoid busting your monthly download limit as your ISP probably won’t meter these off-peak downloads. Many of the tools we’ve described here will attempt to reconnect to the source of a download if you lose your Wi-Fi or web connection. You can also use Download Accelerator Pro 10, but this takes ages to install and is only free for a trial period. Torrent sites work by temporarily connecting the computers of people who want to download a file and making them each download a different piece that they then share with each other. This lessens the load on the original download site, but also potentially exposes each computer to malware. Nonetheless, torrenting is incredibly useful for large downloads. Make sure you have your antivirus switched on and use link checker before starting a download. You can use torrents on your tablet or phone as well as your computer. Make sure you install the free version of the BitTorrent tool uTorrent. There’s a free Android version. Untick all the extras you’re offered when it installs. Decline the simultaneous streaming option to make your downloads as fast as possible. Now search for the video or file you want to download and select where to save it on your computer. Next, click the cog in the top right of uTorrent and click Scheduler. The dark green squares indicate when uTorrent will work at full speed. Successively click squares relating to peak periods to make them white and make uTorrent inactive. These days you can buy buy full-length films and TV shows on iTunes as well as music, so you could be downloading some hefty files. 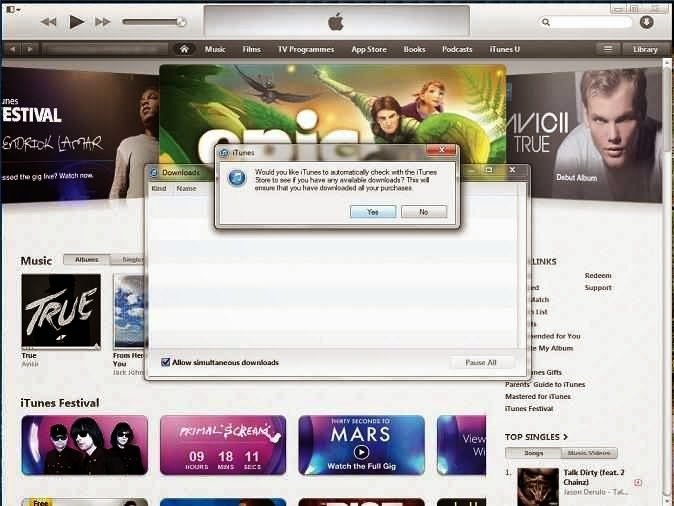 To make them faster, tick the ‘Always check for available downloads’ option in the iTunes, Preferences menu. Tick to enable automatic downloads of music, apps and books. To make sure you get to listen to the new album by your favorite artist as soon as possible, tick ‘Download pre-orders when available’ on the same Preferences page. If you have lots of items due to download from iTunes, it makes sense for each item to download in succession rather than have them all trying to download simultaneously since you can’t listen to or watch more than one item at once. Oddly, the default setting is for simultaneous downloads. To change this click the arrow next to the ‘Search Library’ box in iTunes and untick ‘Allow simultaneous downloads’. The fastest option is to connect your phone or tablet directly to your router. When downloading files locally, a strong Wi-Fi connection (three or four bars) will provide the best wireless download speed. If you’ve got a 4G connection on your phone, your downloads will be almost as fast as when downloading over a fast broadband connection, but the more data you use up at once, the quicker you’ll run out of data allocation. It’s usually better to wait until you’re able to connect to your home broadband so you don’t go over your phone’s download limits. Unlimited data tariffs are usually subject to a fair-use policy, so read the fine print of your contract. You can boost your connection speed by changing which server your phone or tablet uses to connect to the internet. Google’s own DNS (domain name server) is faster than the server your ISP uses, so switch to this instead. You’ll need a DNS-changing app such as Set DNS. Once installed, you can use Set DNS to override the connection on Wi-Fi and choose the faster Google DNS or OpenDNS instead. To use the free version of Set DNS (£2.28) you need to root the phone. However, there’s also a paid-for version of Set DNS that lets you override the DNS settings for your Android phone or tablet without needing to root it.